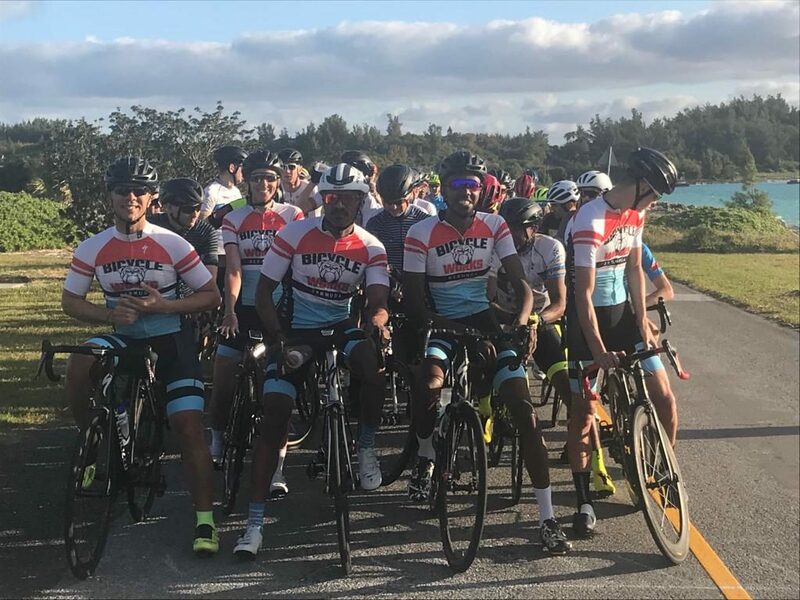 The Bermuda GP finished on Sunday with the Bicycle Works Team represented in several classes during the event. A 3 day event comprising of a TT/hill climb, Road race and Criterium. The team did well across the board in the women’s category and C class. B class was where we earned the bacon with Clifford Roberts winning the first two events but being pipped for GC by team mate Nick Pilgrim in the Crit. Jennifer Lightbourne, Caroline Wright, Frank Ming, Steve Wells, Vince Chaves, Nick Pilgrim, Clifford Roberts, Caitlin Conyers, Chequan Richardson, Arthur Pitcher.